Most of the parts on your car are connected. If you ignore regular maintenance on one component, it could cause an entire system to fail later. This extensive guide explains why regular maintenance is important and which parts and systems you should have checked routinely to avoid expensive repairs. The importance of maintenance schedules. The most critical parts to have routinely checked and serviced. What to look for in a complete auto inspection. How to tell when it’s time for repairs or replacements. How to find a repair shop you can trust. 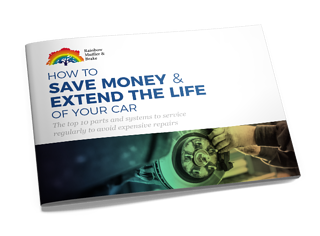 To download your FREE copy of “How to Save Money & Extend the Life of Your Car,” just fill out the form on the right!